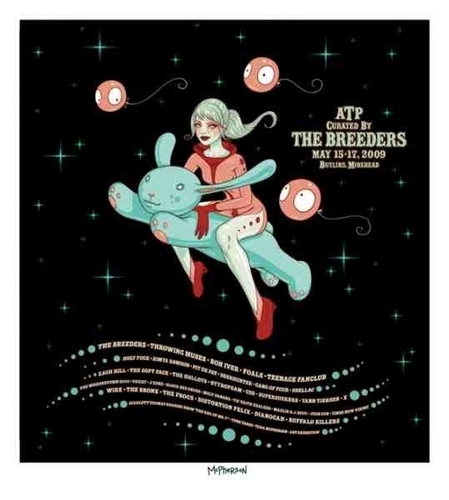 - Official poster from ATP curated by The Breeders (May 2009). - Limited edition of 300 screen print, signed & numbered by the artist - Tara McPherson. - Size: 510mm x 460mm.